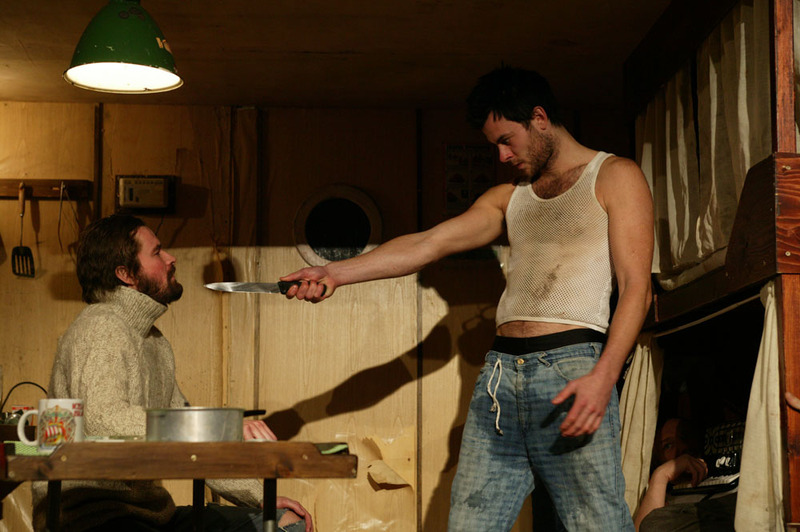 The Icelandic playwright Jon Atli Jonasson has constructed a perfect vernacular storm in the creation of Brim. 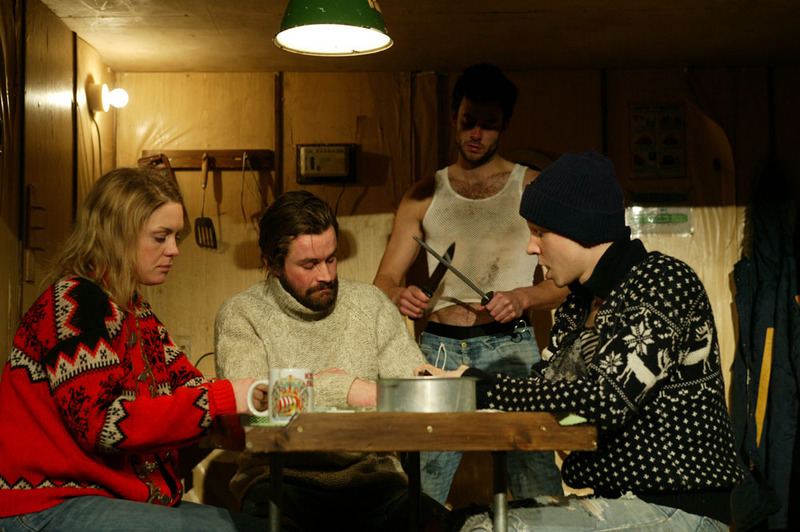 The play is a stark slice-of life drama seen through the fourth wall of an Icelandic fishing trawler. 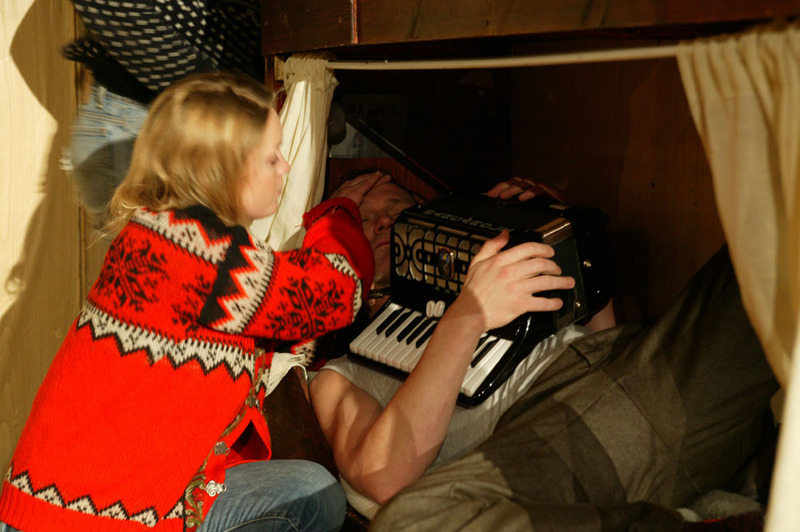 Dreams and thoughts roll around in the heads of the men aboard as the ship plods through the restless dark sea. The continually rocking cabin, its suspension cables and framework in plain sight, is the work of designers Borkur Jonsson and Hlynur Kristjansson. 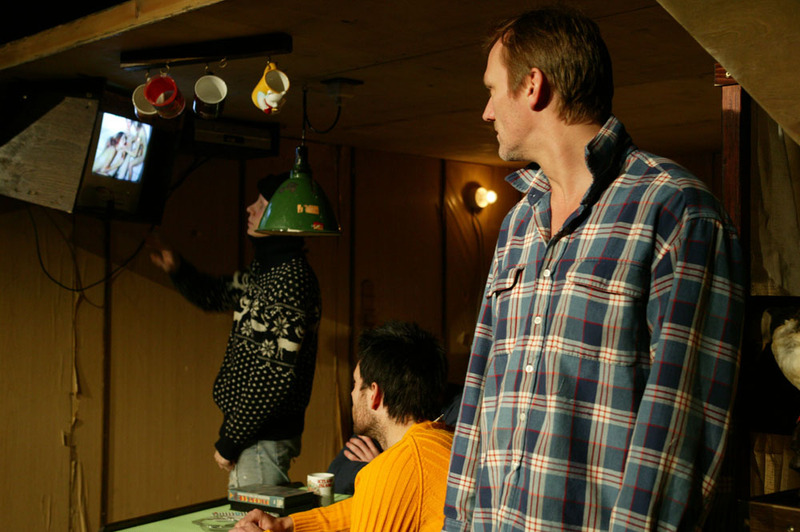 Director Haflidi Arngrimsson and the strong ensemble are never at a loss to manage extreme changes of pace and mood and the details of complex choreography within the confines of the tiny cabin. 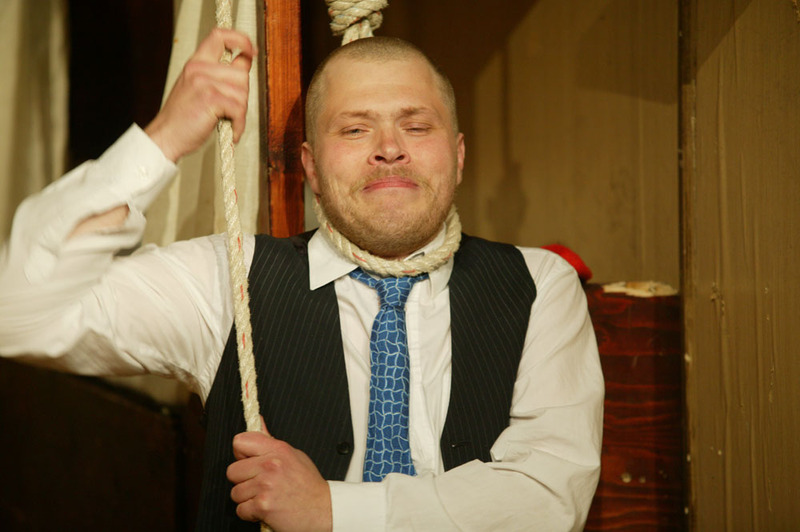 Though the genealogy is unmistakable, the players of Vesturport add more than enough of their own to give their audience an original dose of an altogether searing reality. 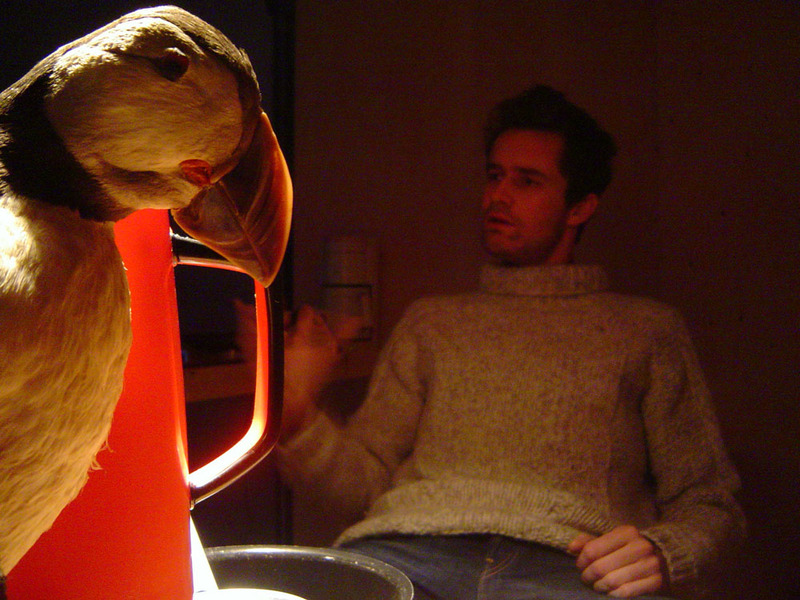 Crushed between the strain of the fishery’s demands and the fury at their own poor prospects, the crew finally turns on itself. An outrageous and often hilarious punctuation to the building drama is a series of out-of-set, out-of-character musical interludes that doff a hat to Brecht and offer a wry perspective to events, as well as make a brave wager that the actors, trained acrobats all, can offer direct-address insight and a few jokes and still put the audience back into the middle of the grim ordeal aboard the ship. They win. 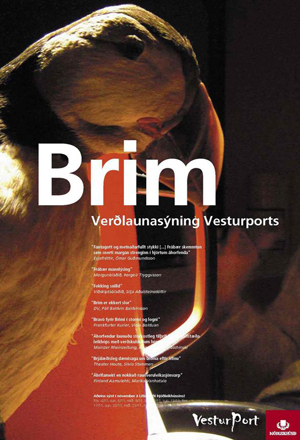 Brim premiered in February 2004 in the Westman Islands south of Iceland and went on tour throughout the country, performing in Akureyri, Isafjorður, Dalvik and Hafnarfjordur. 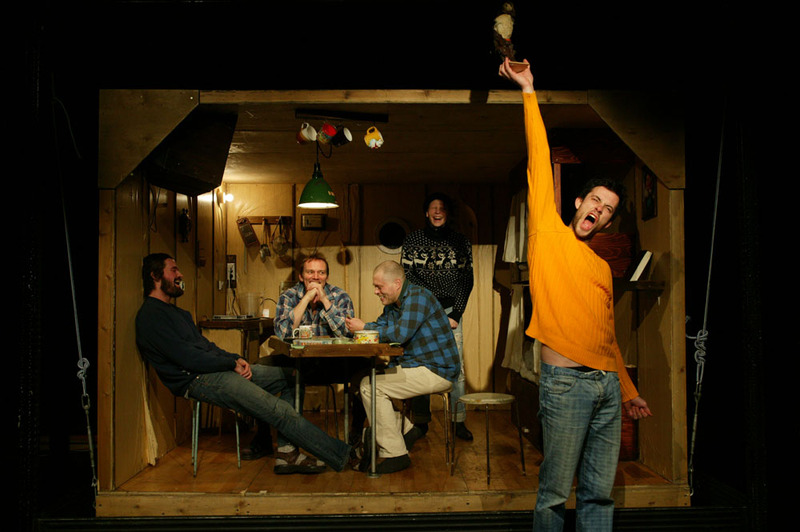 Brim won the Icelandic “Grima” Theater awards as “Best play” in 2004. 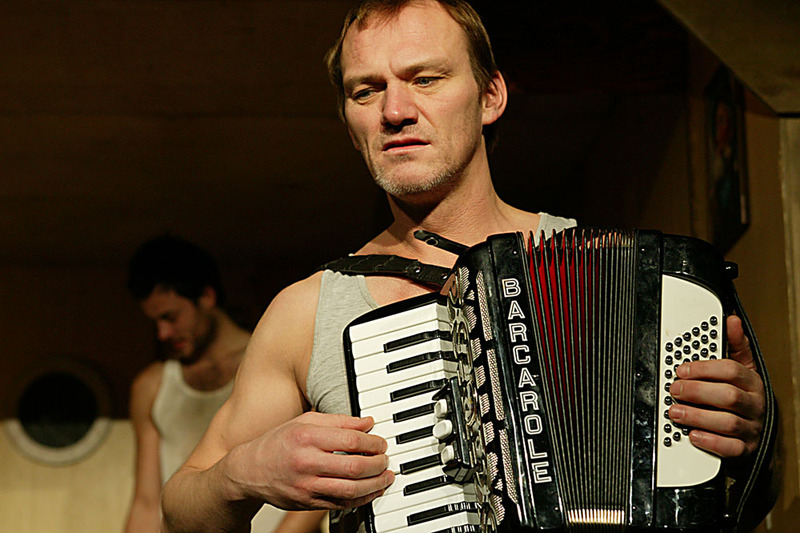 Nominations included “Performance of the year”, “Stage Design”, “Best direction” and Olafur Egilsson was nominated for “Best leading role”. 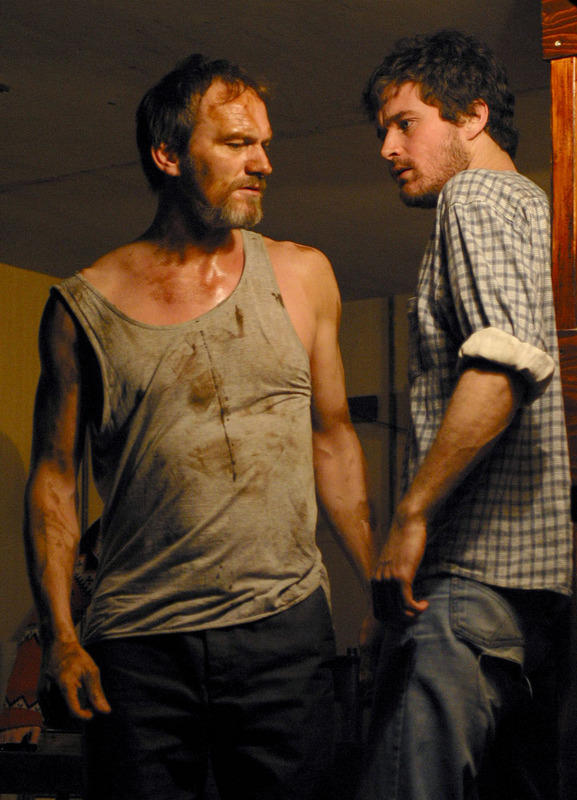 Brim took part in the Theater Biennale in Wiesbaden in 2006 and was invited to the Tampere theater festival and the Golden mask theatre festival in Moscow, where it won the “Best new drama” award.